In April of 1963, the Azorin brothers, Rogelio, Manolo, and Antonio, began their quest for the "American Dream". Three years before, they had been forced to leave all their property and belongings behind as Fidel Castro nationalized all businesses and seized all private property in Cuba. When they left Cuba in 1960, they had hopes that Castro would not stay in power very long. They would be able to return and reclaim their business and property, which included a state-of-the-art clay sewer pipe plant, and brick plant. After a couple of years working in a brick and pipe plant in Georgia, it became clear to them that their stay in the United States might be more than temporary. That led to a decision to start anew and Florida Brick & Clay Company, Inc. was born in Plant City, Florida. The company began making full-size facing bricks and clay drain tiles. Raw materials had to be brought in by rail from Georgia and Alabama. Due to the high cost of shipping shale and clays, the brothers developed a 1/2 inch veneer facing brick which could be used to simulate brick, but required much less clay to produce. A traditional shuttle kiln was used to fire the products. In 1970, they made a major decision to modernize the grinding and batching plant and a new more efficient tunnel kiln was built. As it turned out this decision to modernize was a turning point in the business as costs were lowered with the increase in production capacity. Florida Brick & Clay began carving a niche in the marketplace with its introduction of a 1/2 inch thick, wire-cut brick paver sold under the brandname Sunshine Pavers®. A major boost in sales, as well as credibility, was gained when McDonald's® Restaurants began using the pavers on their patios and walkways. 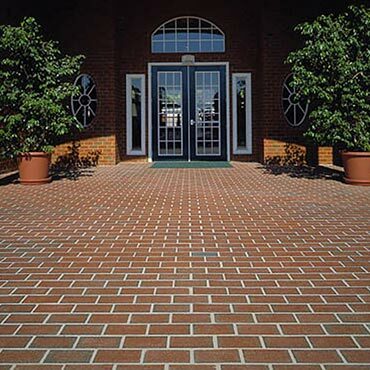 The brick pavers are durable and skid-resistant, even when wet, which make them ideal for exterior applications, such as pool decks, patios, walkways and driveways. The Sunshine Pavers product line has grown to eleven colors, including earth tones, cream, gray, brick red, two wood-grains, flashed colors and the newest addition, antique Colonial Blend. With its quality and product innovation, Florida Brick & Clay has long been considered the leader in the " wire-cut brick paver market.